are scaleable to handle projects of any size. 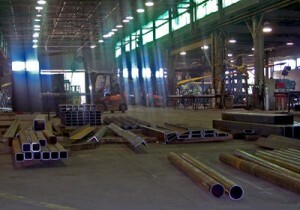 K&K Ironworks provides a full range of metal fabrication services from cutting to assembly of structural and miscellaneous metal structures. Light Structural & Miscellaneous Metals. This set-up allows us to complete both large and small jobs at the same time with maximum efficiency with an attention to detail that customers prefer.